I started blogging in August 2013, and in that first year I had 1,803 views in total. The craziest part for me was that I quickly had an audience from all over the world! That was a huge intensive to continue blogging. I ended up with 19 posts in 2013. And with this post included, I’ll finish 2018 with 124 articles! 2014 was a very active year in which I grew the blog to 50 posts and accomplishing more than 200 weekly views. In 2018 the weekly views grew close to 750 views, with peaks where a new article was published or where I added extra attention to a article through social media channels. In 2015 I continued a almost weekly blogging schedule. This helped build the audience to 50 daily visits. 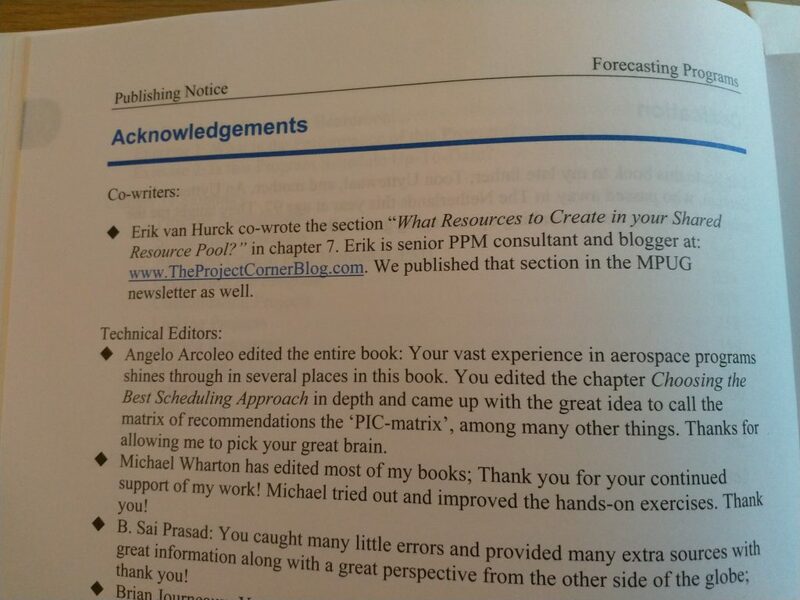 I’ve also increased the number of book reviews and started blogging about Project Online. In 2018 I did just 2 book reviews. Mainly decreasing the amount because they are very time consuming and there wasn’t any financial incentive anymore after Amazon removed my affiliate program. 2016 was a year with more focus on personal matters with a big redesign and expecting our second kid. But it still had great stats I could share, such as the best ever social sharing on a single post. The article Backward scheduling vs deadlines was featured on Microsoft Project’s Facebook page and that blew up! With over 460 shares on Facebook alone. A feat I haven’t surpassed yet. 2016 was also a special year, because it was the year I started on the domain “TheProjectCornerBlog.com”. Which gave me WordPress freedom I didn’t have with the free version of the service. In 2017 I increased the “TPC brand” with my very own Newsletter! The newsletter continues to be a great achievement with 184 subscribers (and 39 subscribers to the YouTube Newsletter). This bi monthly newsletter comes with a shared folder with more content for subscribers, as well as additional information and what I found interesting on the web. So if you read my blog, make sure to subscribe and I’ll make it worth your time. For the first time since it was published the article About Percent Complete in Microsoft Project wasn’t the best viewed article on a yearly basis. 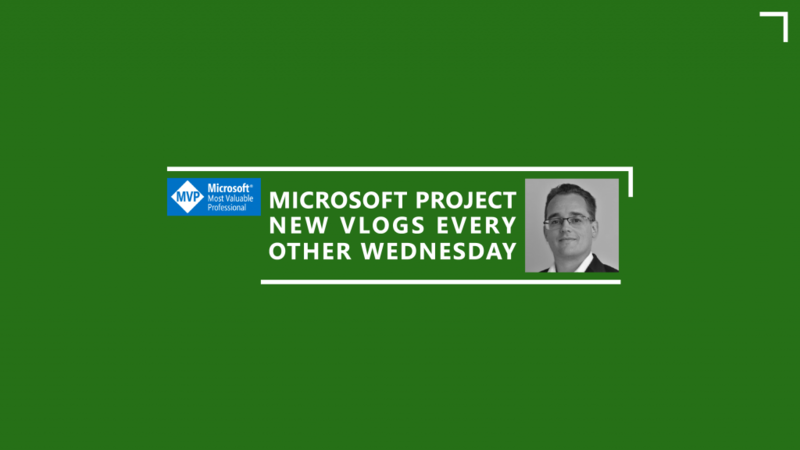 This year the article 3 favorite Microsoft Project reports, took the blog by storm. Which is pretty strange because the article was one I wrote in 2016 (505 views). In 2017 it had 803, which is still a healthy number. But then, in 2018 it skyrocketed to 4,904 views(!). If anyone knows why this happened please comment down below. In September, while visiting a Dutch theme park, I got the mail: “Congratulations, Microsoft MVP 2018-2019”! It’s a great honor to be granted this title by Microsoft. You can read more about it on the special page. This year I started a new series of articles. Closely related to the new way Microsoft gathers information on what their clients want from the software. With the UserVoice websites anyone can add new wishes for applications such as Outlook, Excel or (in our case) Microsoft Project and Project Online. As an added twist I’ve asked other MVP’s to include their opinion on a UserVoice item. So far I’ve done 4 articles and had a lot of fun with the MVP’s getting nice articles published. Not everything went according to plan. The site has seen a couple of moments of down time due to hacker attempts. Luckily I have the guys at Neostrada (my hosting party) to help out very fast. And as if regular hackers aren’t bad enough, I got comment bombed. Or at least that is the non technical term I use for people flooding the servers with thousands of blog comments per minute. Which triggered safety measures at the hosting party and downtime on TPC. This resulted at first in a Recaptia add in. But that failed as well. So now you only have the option to comment on a new blog in the first 30 day’s after it is published. Which helped solve the hacking and down time issue so far. Now, I’m facing server space limitations that I will have to address in 2019. But I’m sure I’ll survive that as well and continue providing valuable Project related content. In 2018 I took another big leap, I started my own YouTube channel! And with the new channel I started a new commitment of providing a new video every 2 weeks. At the end of the year I’ll be at 20 or 21 video’s (depending if I can include the feature release video for Roadmaps). The channel has been a personal success, I don’t think I’ll ever reach a golden Play button (1 million subscribers) but I have a steadily growing audience that I’m very proud of. The most successful videos already have 100+ views and I’m feeling more proficient with recording the videos every time. I’m not only writing for TPC anymore, with regular articles on MPUG and the occasional contribution to other sites I’m expanding the general reach of my little opinion on the lovely applications Microsoft has to offer for any Project related worker. Next year is going to be a busy one. I’m going to move twice with the family, settling down in our dream house at the end of the year. I’ll need to increase my server capacity to be able to provide you with content in 2019. And I’m going to be speaking at conferences more (partly due to the MVP status). I’ll continue writing regular posts, adding videos and doing other stuff. And with all the big changes Microsoft announced during 2018 it’s promising to be a very exciting year! Posted on December 31, 2018 December 20, 2018 Author Erik van HurckCategories About the blog and otherTags Happy New Year!